MRP is seeking an Accountant in Center City Philly at 1818 Market Street, Phila., PA 19103 to prepare financial statements and be developed to oversee our budgeting and forecasting process in the future. Click HERE for a full description. Administrative assistant position. Click HERE for a full description. Ciright One has merged with the world leading smart card manufacturer to create Binji Fintech, Inc. They are in need of two additional members to their team immediately. These individuals will work out of the corporate Conshohocken office and will be an integral part of launching this major Fintech brand. They are looking for system analyst who will act as product managers. The individuals require strong technical skills and a very positive attitude and willingness to learn as a rapid pace. Interested applicants are asked to contact Joe Callahan ASAP. (Decision to be made in the next two weeks.) To view the complete job description, please click HERE. The following are the overall responsibilities to support our practice. The main objective of this position is to manage all of the operational and administrative aspects of the business. This will enable the financial advisor(s) to spend most of our time working directly with existing and prospective clients. Our intention is to grow the practice significantly and have all those who participate share in our success. – Manage client referral communications process. – Delegate proposal requests to office specialist(s) when possible. – Work with Advisor to develop new business relationships and alliances. – Monitor and complete (or delegate) incoming service requestson a timely basis. Contact Jim McGoldrick for more details or to apply. A Flexible, Part-Time Position: Collegial 3-attorney boutique firm is seeking a highly motivated and energetic individual to handle day-to-day office responsibilities, marketing support, and general office administration. The position offers the right candidate a reasonably flexible schedule and the opportunity to work closely with, and learn from, lawyers who love what they do. The ideal candidate will be proficient in using basic Office software, including PowerPoint, Excel, and pdf software and have appropriate education or experience to support our legal team in at least one of the following three areas: (i) marketing and communications, or client management; (ii) office management and administration; or (iii) paralegal services, and a willingness to learn and handle other office responsibilities in order to provide high-quality services to nonprofit and charitable clients. The position will begin with a part-time arrangement, likely 20 to 30 hours per week, with flexibility about which days and times work is conducted in the office. Email abarry@iabcn.org to connect with the employer. McGinn Security is currently looking for an experienced Executive Assistant/Office Manager. Duties to include: payroll, HR, accounts payable/receivable and office management. If interested, please contact Joe McGinn. To direct the global financial and commercial operations of the Almac Clinical Technologies worldwide business and to develop the corporation’s financial control procedures and systems in partnership with heads of finance in the other Almac companies. To read a full description, please click HERE. Conrad O’Brien is hiring an IT Help Desk Coordinator. The IT Help Desk Coordinator executes the activities and deliverables for the network and the Help Desk which includes: PC, server and switch infrastructure support and implementation; hardware and software troubleshooting and problem resolution; network systems administration; enterprise application systems administration, as well as end-user service and support. The IT help desk coordinator is the first point of contact in answering and assisting employees with their computer, phone, Smartphone and all IS related needs. Must be customer service oriented & possess the ability to effectively communicate and document resolutions to production related issues. Conrad O’Brien, a Center City law firm, has an immediate opening for a litigation paralegal with minimum of 2-3 yrs experience. The successful candidate will have experience and the ability to subpoena, review, and summarize medical records; be able to conduct limited medical research; ability to prepare basic discovery; experience in the review, preparation and drafting of court filings and pleadings, including cite checking, identifying relevant documents and organizing exhibits and reproduced records. Must have proficiency and experience with electronic document review tools such as Concordance and Relativity, including running searches, processing and producing documents. Must be proficient with Microsoft Office applications (WORD, EXCEL, Powerpoint, Access) and Abode or Adobe-like PDF applications. These positions have been filled. Please click on the job title below for a full job description. Almac Group is a group of established businesses at the forefront of the Pharmaceutical industry. Their Company is a recognized global knowledge-based leader for the research, development and delivery of pharmaceutical services. Almac Group’s services extend from drug discovery through all areas of clinical trials to the commercialization of pharmaceutical products. Their commitment to Discovery, Development and Delivery in conjunction with their long term partnerships with the majority of the world’s leading pharmaceuticals guarantees a secure future for everyone. They are currently looking for candidates who are willing to take an assignment in Northern Ireland at our site in Craigavon. This role will perform, monitor and accept accountability for all assigned analytical duties relating to specific chemistry and/or analytical projects. For more details, or to apply for this position, please click HERE. The Irish American Business Chamber provides a wide range of events throughout the year, typically one event per month, which offer networking opportunities, professional development, community involvement and recognition. Our series of premier events offer a unique forum for the exchange of information for doing business in the Greater Philadelphia region and the Isle of Ireland. Events vary from Member Spotlight networking breakfasts, to Executive Perspective speaker series events featuring top-level executives from local and international companies, to luncheon symposiums and awards ceremonies, to informal after-work networking receptions. We also work with fellow Irish organizations and the various international Chambers of Commerce in Philadelphia to widen your networking horizons. We strive to present opportunities that address the interests of our broad membership base. 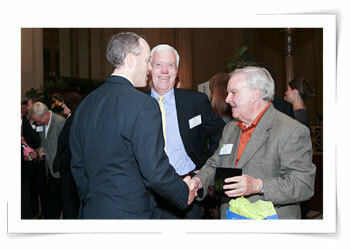 Irish American Business Chamber & Network IABCN, Inc. is a Pennsylvania not-for-profit corporation.